Flat top barges with side wall and Ramp are in demand for carrying construction material from Tuticorin India to Maldives. The barges are available with high deck strength so that they can be capable of loading and carrying rock boulders which are mainly used for filling and construction purpose. 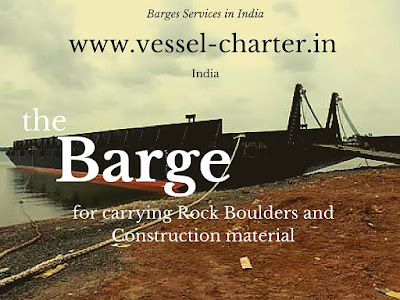 Today these barges for carrying boulders are available on time charter for minimum one year contract. All these barges are without engine and pusher tug is required to tow or push these barges. These barges are available in capacity of 3000 DWT to 5000 DWT or above. The pusher tug capacity also varies depending on the carrying capacity of the barge. In India most of the barges are without engines and are mainly employed for transporting rock boulders from Tuticorin, Mangalore, etc port to Maldives.